It is widely known that terrorist organizations and networks, including Al-Qaeda, Jemaah Islamiyah and ISIS are actively recruiting members and fighters to support their goals and be part of their violent-extremism activities. ISIS has employed several methods to lure Malaysian youths, including young women, to join jihad in the Middle East, notably social media and usrah (small group discussions) in colleges and universities to mainly target the student population. Previous lecturers from local Malaysian public universities were known to have played instrumental roles in violent-terrorist attacks in Bali and Marawi. The recent trend is very worrying considering the fact that more and more young Muslim women were being recruited into the ISIS web and measures must be taken to stem this tricky and precarious phenomenon. Islamic Renaissance Front (IRF) sees the need to address and identify necessary steps to avoid the problem from spreading, and putting a stop to violent-extremism, especially that are related to young women. These necessary steps should include legal and policy recommendations, and more importantly advocacy works driven by civil society organisations, local communities at the grass-roots level and in the public media; both mainstream and in the social media. Various initiatives have been conducted by various organisations to meet this common goal, not just in Malaysia, but also in our neighbouring country, Indonesia. 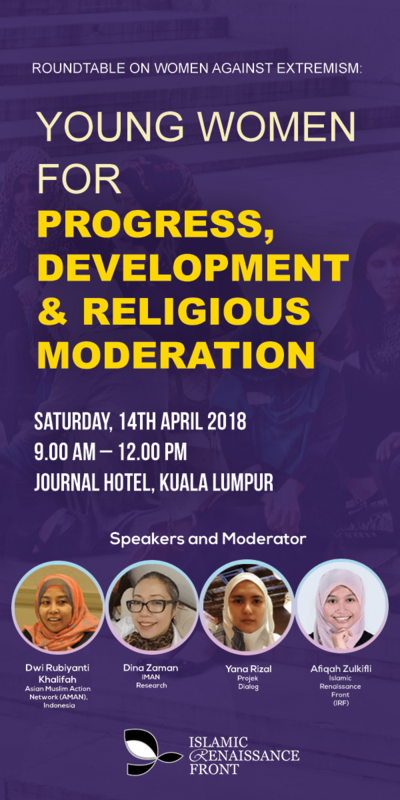 In this Roundtable Discussion on Women against Extremism: Young Women for Progress, Development & Religious Moderation, IRF will share some of our works on the topic, and invite the other speakers from Malaysia and also Indonesia to present their own initiatives in preventing the spread of violent extremism among young women. Dwi Rubiyanti Khalifah is currently representative of the Asian Muslim Action Network (AMAN) in Indonesia, which focuses on strengthening leadership of grassroots inter-faith women and consolidating progressive voices to advocate the rights of minority groups. She earned her Masters Degree in Health and Social Sciences at Mahidol University in Thailand, and her thesis, Contesting Discourses on Sexuality and Sexual Subjectivity Among Single Young Muslim Women in Pesantren and The Future of Asian Feminism: Confronting Fundamentalism, Conflict and Noe-Liberalism, has been published as a book. Ruby is a contributor to Majalah Potret and Aulia, a women magazine to promote womens voices. With AMAN Indonesia, she initiated the Womens School for Peace, a community for learning peace education for inter-faith mothers that has already spread to 20 communities in seven provinces to strengthen womens leadership skills and organization in order to be able to contribute to peacebuilding. Dina Zaman has a Masters degree in Creative Writing from the University of Lancaster, UK and Honours degree in Communications from Western Michigan University, US and works in the media. 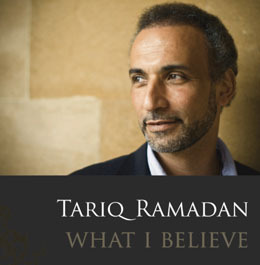 She has written a book on Muslim Malaysians titled I Am Muslim and covered Muslim life in her columns for Malaysiakini.com, The Malaysian Insider and The Malay Mail Online. She was a recipient of the Nippon Foundation’s Asian Public Intellectual Fellowship in 2012, and her research was a comparative study on saints in Indonesia and Malaysia. She is currently compiling her published essays for a new book. She has been in the media for over 20 years, serving as editor at Malaysiakini.com and The Malaysian Insider. She also has a background in corporate communications, and believes that research, advocacy and journalism can be utilised in a multimedia platform that will serve policy makers, governments and media owners. Yana Rizal serves as co-director of Projek Dialog, a youth platform for human rights advocacy and empowering marginalised voices. She is also a curator, writer, poet, literary translator and cultural researcher. In her capacity with Projek Dialog, she has led numerous interfaith and intercommunity initiatives. Among others, she was the programme manager and co-curator of the Khabar dan Angin interfaith art initiative that culminated in an exhibition at Balai Seni Visual Negara. She is the co-editor of the regional bilingual literary journal, Naratif | Kisah, and I, KKK – the autobiography of the historian Khoo Kay Kim. She has co-curated international festivals and exhibitions including This World, Out Here – the KataKatha Exhibition, the inaugural Kuala Lumpur Literary Festival as well as the Festival of Malay Language & Literature. She is also the curator of Hasanah Bersama Rakyat, Jeli chapter – an initiative by Khazanah Nasional to provide free services on education, art and culture, entrepreneurship, civic awareness, health and living necessities for the B40 community.